It’s looking more and more like the completed Mueller report will only be the beginning of President Donald Trump’s trouble. Democrats on Monday will launch an “abuse of power” investigation that could be easily transformed into an even more serious process, with an expansive demand for documents from Trump’s government, his family and even his real estate empire, CNN writes on its website. Trump responded to the mess, as he often does, with a tweet. 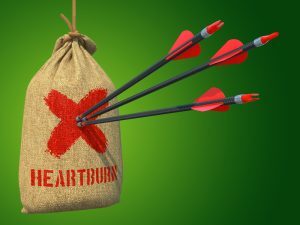 Posted: March 4th, 2019 under News Story. President Trump’s attorney, Rudy Giuliani, is now claiming he “never said” the Trump campaign didn’t collude with Russia. 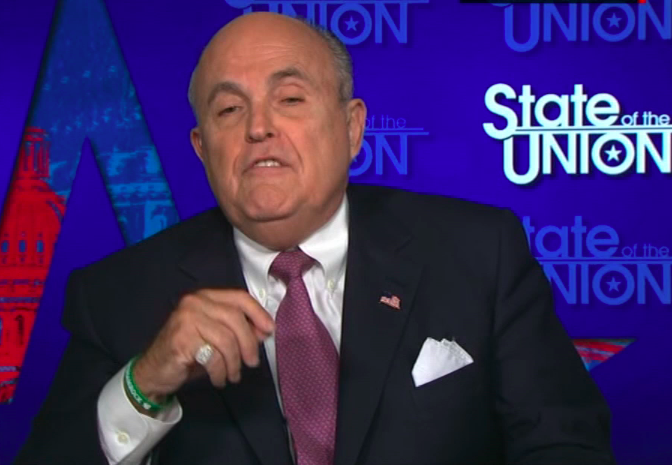 In an extraordinary interview on CNN on Wednesday night, Giuliani acknowledged there may have been “collusion” between the campaign and Russia, but Trump was not involved.
.@RudyGiuliani allows for the possibility of collusion with the campaign while saying it didn’t happen. Truth is, Giuliani and Trump have both denied collusion. Trump has repeatedly insisted no one in his campaign colluded with Russia. Giuliani’s latest rhetoric comes as Robert Mueller begins collecting more evidence of links between Trump, his campaign and Russia. Last week, a court filing error by Paul Manafort’s attorneys showed that Manafort, Trump’s former champaign boss, met with Russian-linked operative named Konstantin Kilmnik and shared polling data with him. At one point, Manafort urged Kilimnik to pass the data to Russian oligarch Oleg V. Deripaska, according to the court filing. Posted: January 17th, 2019 under News Story. Carl Bernstein: Mueller’s Report Will Allege Trump helped Kremlin ‘destabilize’ the U.S.
Special counsel Robert Mueller’s report on Russian election interference will allege that President Trump helped the Kremlin “destabilize the United States,” according to famed journalist Carl Bernstein. Bernstein, known for his coverage of Watergate, told CNN on Sunday that Mueller will reveal that Trump played a significant role in Russia’s propaganda campaign during the presidential election. “This is about the most serious counterintelligence people we have in the U.S. government saying, ‘Oh, my God, the president’s words and actions lead us to conclude that somehow he has become a witting, unwitting, or half-witting pawn, certainly in some regards, to Vladimir Putin,’” Bernstein said CNN’s Reliable Sources. Mueller is expected to soon wrap up his investigation that began in May 2017 following the president’s termination of then-FBI Director James Comey. 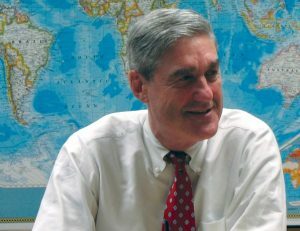 Mueller will then reveal what he has found in a report to the Justice Department. Trump denied the allegations and suggested he has been “maybe tougher (on Russia) than any other President,” a claim widely disputed by historians and political analysts. “I have been FAR tougher on Russia than Obama, Bush or Clinton. Maybe tougher than any other President. At the same time, & as I have often said, getting along with Russia is a good thing, not a bad thing. 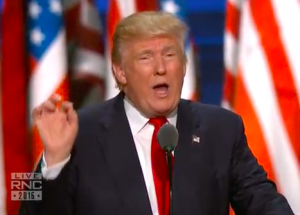 I fully expect that someday we will have good relations with Russia again!” Trump tweeted. Posted: January 14th, 2019 under News Story. David Hogg discounted the conspiracy theory on CNN on Tuesday. The soaring popularity of a discounted, right-wing conspiracy theory that claims last week’s Florida school shooting was an FBI plot was underscored Wednesday when YouTube’s top trending video featured a segment on the baseless allegations. The video, originally posted in August, claimed that David Hogg, a survivor of the massacre at Marjory Stoneman Douglas High School in Parkland, Fla., was an “actor,” not a classmate. In the video, the 17-year-old was featured in an interview with the CBS affiliate in Los Angeles to discuss a dispute between a lifeguard and a swimmer. Since the massacre that killed 17 people, the conspiracy theory has gained traction among Trump supporters and others on the far right who believe – or want you to believe – that the shooting was an FBI plot to seize power from Americans. The video was removed by YouTube for violating its policy on bullying and harassment. 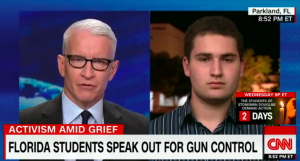 On CNN on Tuesday, Hogg disputed the outrageous claims. Posted: February 22nd, 2018 under News Story. 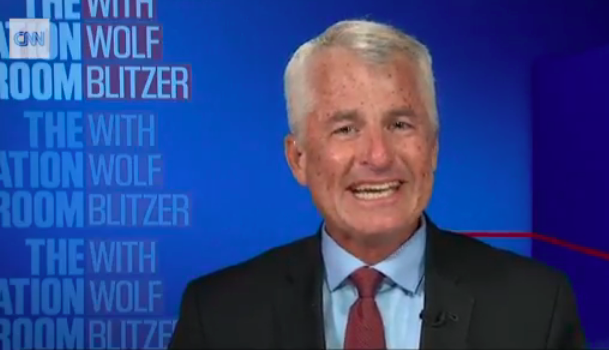 Ex-FBI Agent Phillip Mudd broke down in tears on CNN. 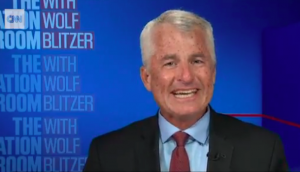 Philip Mudd, a former FBI agent and deputy director for the FBI’s national security branch, has interviewed terrorists and investigated some of the most atrocious attacks. That experience didn’t prepare him for news Wednesday that 17 people were killed by a gunman at a Florida high school. A CNN counterterrorism analyst, Mudd broke down in tears while talking about the attack with the network’s Wolf Blitzer. Posted: February 15th, 2018 under News Story. 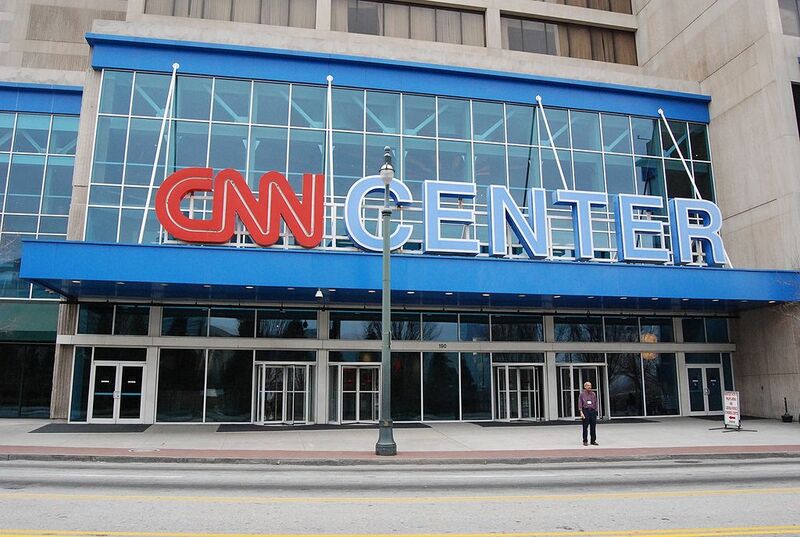 CNN headquarters in Atlanta, via Wikipedia. 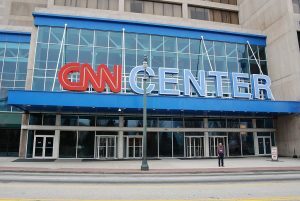 A suburban Detroit man was arrested on felony charges after police say he threatened to carry out a mass shooting at CNN headquarters over what he considered fake news, echoing President Trump’s relentless attacks on the network and other media outlets. During some of the calls, Griesemer made disparaging comments about African American and the network. Griesemer was charged Friday in U.S. District Court with a felony county of transmitting interstate communications with the intent to extort and threat to injure. Griesemer is free from jail after posting a $10,000 bond. “We take any threats to CNN employees or workplaces, around the world, extremely seriously. This one is no exception. We have been in touch with local and federal law enforcement throughout, and have taken all necessary measures to ensure the safety of our people,” CNN said Monday in a statement. Posted: January 23rd, 2018 under News Story. 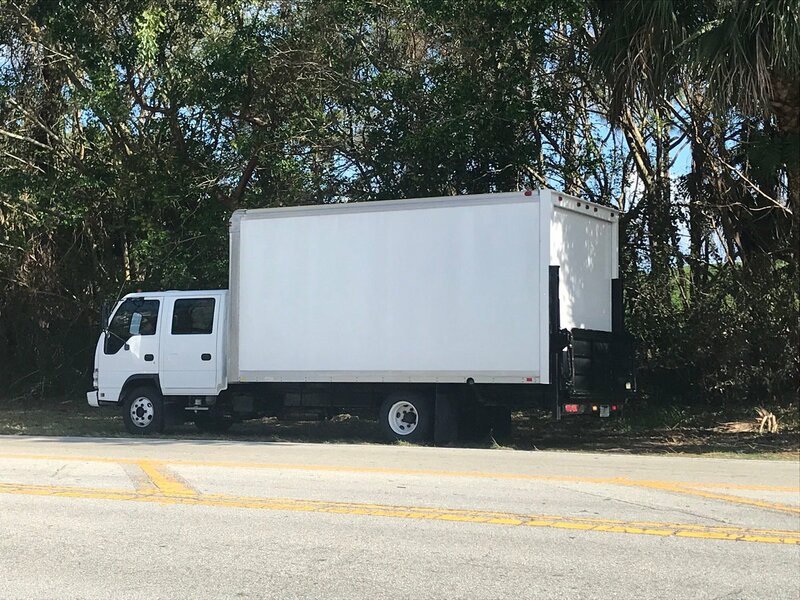 White truck obscured CNN cameras outside President Trump’s Florida golf course. Via Twitter. The Secret Service denied trying to obscure CNN cameras from recording President Trump while he was playing golf at his course in West Palm Beach, Fla.
CNN reported that a large white truck was parked on public property in an effort to block nearby journalists from filming the president. While a CNN film crew set up on a public sidewalk outside the golf course, “a white box truck drove up and obscured the view of the course through the trees,” the network claimed. Posted: December 28th, 2017 under News Story. The Secret Service has tried to contact Donald Trump’s campaign after his suggestion that “Second Amendment people” could stop Hillary Clinton from making Supreme Court picks if she’s elected, according to a CNN report. But Trump maintains no one tried to contact him and said the CNN report was “a made up story” for ratings. The Secret Service said the information did not come from the public affairs office, but could not confirm whether someone else in the agency made the statement. “Those statements did not come from our public affairs office,” said Joseph Casey, a spokesperson for the Secret Service. Posted: August 11th, 2016 under News Story.